Alison Watt was born in Greenock in 1965 and studied at Glasgow School of Art. Her work first came to public attention in 1987 when she won the National Portrait Gallery’s coveted annual award and in the late 1980s and early 90s she became well known for her paintings of figures, often female nudes. Watt’s exhibition Fold in 1997 at Edinburgh’s Fruitmarket Gallery marked a turning point by introducing fabric alongside these figures. This was followed by Shift in 2000, her solo exhibition at the Scottish National Gallery of Modern Art, which saw Watt move away from the figure and display a series of twelve large works depicting swathes of fabric. Her exquisitely painted canvases continue to edge further towards abstraction yet they still suggest a human presence or absence with a particular concern with the allure of negative space. 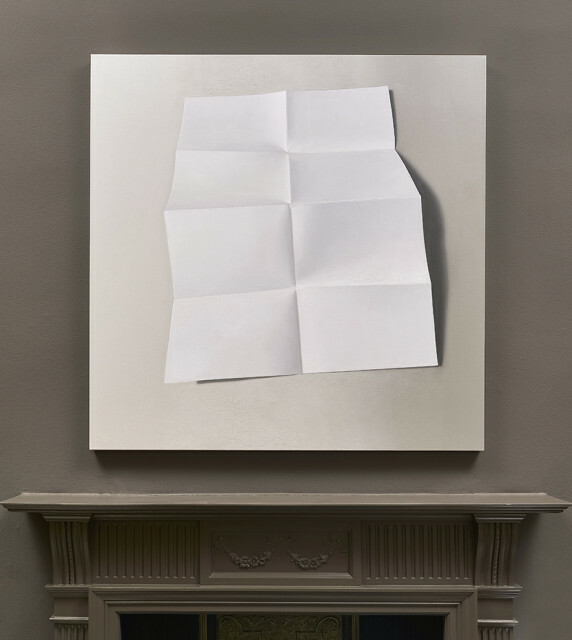 Watt's two-year residency as Associate Artist at The National Gallery, London, from 2006-8, culminated in the landmark solo exhibition Phantom. She was awarded an OBE in the same year. Watt's work has been widely exhibited and is held in many prestigious public and private collections. Recent exhibitions include Dark Light, Ingleby Gallery, Edinburgh and Pier Art Gallery, Orkney (2007); Autoriatratto, Uffizi Gallery (2010), Italy; Reflecting Glenfiddich, The Fleming Collection, London (2011) and Hiding in Full View, Ingleby Gallery (2011). In 2014, as part of the Nationwide GENERATION programme of exhibitions, a retrospective exhibition of Watt's paintings was held at Perth Museum and Art Gallery, and a solo display was presented at the Scottish National Gallery of Modern Art, Edinburgh. Watt was recently commissioned to design a large scale tapestry - Butterfly - in collaboration with Dovecot studios and Scottish Opera which was installed in Theatre Royal, Glasgow. Watt's paintings were recently exhibited as part of the major group exhibition Reality: Modern & Contemporary British Painting at the Sainsbury Centre for Visual Arts, Norwich which toured to the Walker Art Gallery, Liverpool in July 2015. Furthermore, a solo presentation of works by Alison Watt was recently presented at Abbot Hall Art Gallery in Kendal, from October 2018 to February 2019.